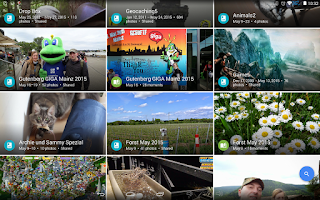 The long awaited Google Photos launched at the Google I/O 2015. First I was shocked, then thought it was great, now undecided. What can this be, that me, yes me, is torn by this "new" Google service? Maybe because the whole thing feels torn between Google+, old Picasa and something totally different. 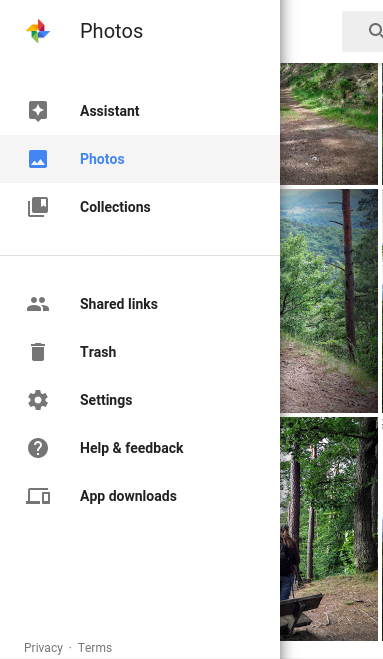 Now you can use Google Photos without an Google+ account. That's okay. The app and the web interface is very nice and keeps up to the Material Design standards. It's simple, intuitive (for the features, not for everything, but later on that) and easy if you are a normal users that just want to have your photos sorted and improved without any work to do. Just upload, or even use Auto Upload from your phone or Windows and Mac computer, and there are your photos. It's perfect if you don't want to invest time to organize. it will all do for you. You can however make an album manually to mark a trip or something. The new method to select photos is a breeze on mobile, and you ask yourself why this wasn't like this before. The sharing options are now (on web) offering Google+, Facebook and Twitter. Most important the "Get shareable link" feature to post it everywhere. The best of all, you can now upload unlimited photos for free with up to 16MP resolution. 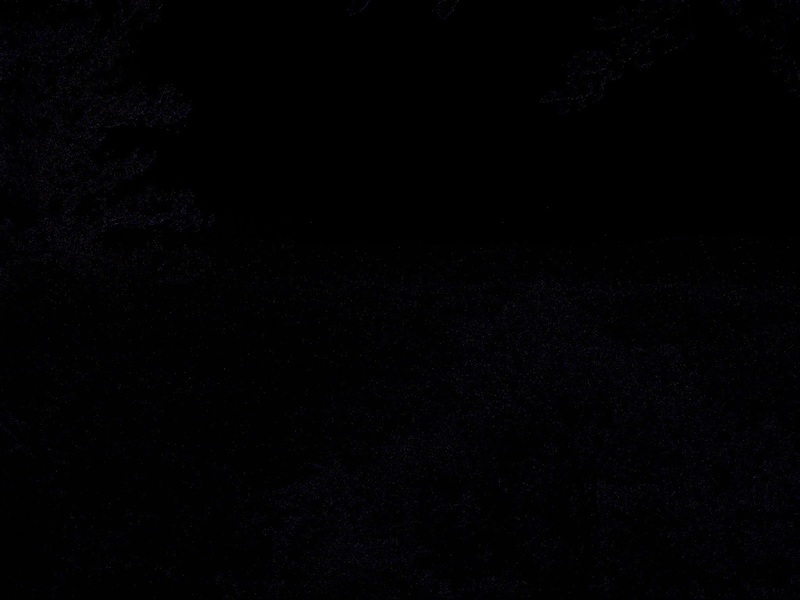 Before that you can only upload photos up to 2048px for free. This is a huge improvement even though the photos are compressed to reduce space. I was stunned. As a photo compression enthusiast, I thought the results would be clearly different from the original. I made some testing and comparison. 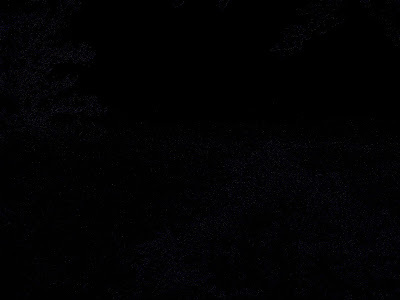 See (or not) for yourself. Don't mind these thumbnails here and click to get the full resolution. Now compare in different browser tabs. There is virtually no difference to see on normal equipment. I made a difference layer, so you can see that there are some differences, but it's more then good enough for users even if they want to print out these pictures. So what is it now that I'm not totally enthusiastic about Google Photos? If you're using this coming from Google+ Photos it quickly turns out to be a mess in your photos. First the editor is nothing that even earned that name. 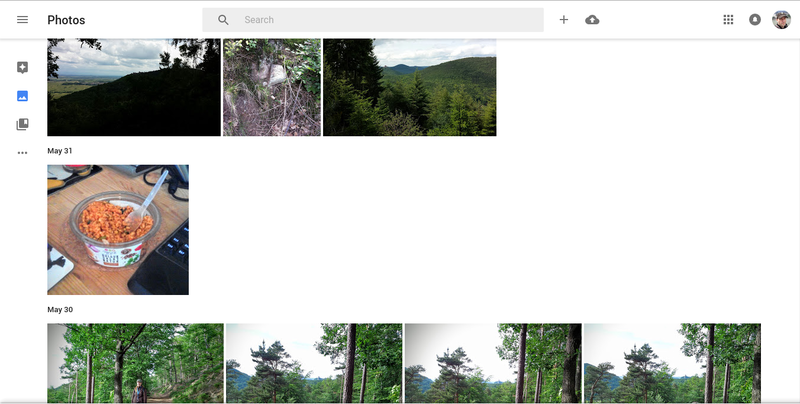 The quite useful Google+ photo editor is gone in the Google Photos app and web interface. Auto Enhancing seems to be disabled. Unbelievable. Once the killer feature, you now have to manually load the editor and click on Auto. I hope this is only a mistake. I need that. The sharing feature is good for taking your photos out. It's horrible to share it on Google+. Your photos will reoccur and double in your library. It's a mess. And unbelievable, the mobile app does something I can't understand. It reuploads your photos when sharing to Google+. That means, if you have photos in your Google Photos library and want to share them on Google+, it will download(!) those photos and upload it back again for Google+. Doubling, and very bad for your precious data traffic. Insane! If you keep on sharing stuff with Google Photos you'll end up in a complete disastrous library with duplicates and folders you can't see on this app, while visible for Google+ albums. Then memory mobile there is a also a little thing that bugs me. The Google+ app has the old photo app integrated (for those that don't want Google Photos). If you download the new app (50.8MB) it disables the feature on Google+ (69.4MB). But the memory stays the same. And if you want the editor features back from Google+ Photos, you'll want to install Snapseed (27.9MB), too. Plus a lot of data storage that these apps use (several hundred MB together in no time), and like Google seems to love it, all in the app storage, which is not the overall internal storage in many devices, but very limited. So you'll end up with 148.1 MB instead of only 69.4 MB. Plus 200MB+ data storage for the new apps. Thanks, Google. Face recognition is only available in the US. Come on, Google, there is no law against such a feature for your own library to search in. Please show some more braveness. And where are my blogger albums? Right... not visible in the new app. So, I really want to use Google Photos. But at this stages is very hard with losing all this functionality. I'm careful when using it to share not to mess up my photo library. And you need to stop having Google+ Photos and Google Photos as separate entities. And Google Photos need to cover ALL pictures in your library. At the moment it leaves all many albums like the ones from blogger. For me that means I have to deal with 2 different kind of libraries, and one of them is only accessible via the web. It's a very nice app, but I'm still thinking about to just delete Google Photos and use Google+ photos again, and cry for missing the new, good things about the app.